1 A None No Power Seat 1 A is an Economy Class Exit Row seat with extra legroom. However, the Exit door protrudes into some of this space. The tray table is in the armrest, making the armrest immovable and slightly reducing seat width. There is no floor storage for this seat during take-off or landing. 1 D None No Power Seat 1 D is an Economy Class seat with limited legroom due to the position of the bulkhead. The tray table is in the armrest, making the armrest immovable and slightly reducing seat width. There is no floor storage for this seat during take-off or landing. 1 E None No Power Seat 1 E is an Economy Class seat with limited legroom due to the position of the bulkhead. The tray table is in the armrest, making the armrest immovable and slightly reducing seat width. There is no floor storage for this seat during take-off or landing. 1 F None No Power Seat 1 F is an Economy Class seat with limited legroom due to the position of the bulkhead. The tray table is in the armrest, making the armrest immovable and slightly reducing seat width. There is no floor storage for this seat during take-off or landing. 11 A None No Power Seat 11 A is an Economy Class seat that does not recline. 11 B None No Power Seat 11 B is an Economy Class seat that may have limited recline. 11 C None No Power Seat 11 C is an Economy Class seat that may have limited recline. 11 D None No Power Seat 11 D is an Economy Class seat that may have limited recline. 11 E None No Power Seat 11 E is an Economy Class seat that may have limited recline. 11 F None No Power Seat 11 F is an Economy Class seat that may have limited recline. 12 A None No Power Seat 12 A is an Economy Class Exit Row seat with extra legroom, but it may not recline due to the Exit Row behind. There is no floor storage for this seat during take-off or landing. 12 B None No Power Seat 12 B is an Economy Class Exit Row seat with extra legroom, but it may not recline due to the Exit Row behind. There is no floor storage for this seat during take-off or landing. 12 C None No Power Seat 12 C is an Economy Class Exit Row seat with extra legroom, but it may not recline due to the Exit Row behind. There is no floor storage for this seat during take-off or landing. 12 D None No Power Seat 12 D is an Economy Class Exit Row seat with extra legroom, but it may not recline due to the Exit Row behind. There is no floor storage for this seat during take-off or landing. 12 E None No Power Seat 12 E is an Economy Class Exit Row seat with extra legroom, but it may not recline due to the Exit Row behind. There is no floor storage for this seat during take-off or landing. 12 F None No Power Seat 12 F is an Economy Class Exit Row seat with extra legroom, but it may not recline due to the Exit Row behind. There is no floor storage for this seat during take-off or landing. 13 A None No Power Seat 13 A is an Economy Class Exit Row seat with extra legroom. There is no floor storage for this seat during take-off or landing. 13 B None No Power Seat 13 B is an Economy Class Exit Row seat with extra legroom. There is no floor storage for this seat during take-off or landing. 13 C None No Power Seat 13 C is an Economy Class Exit Row seat with extra legroom. There is no floor storage for this seat during take-off or landing. 13 D None No Power Seat 13 D is an Economy Class Exit Row seat with extra legroom. There is no floor storage for this seat during take-off or landing. 13 E None No Power Seat 13 E is an Economy Class Exit Row seat with extra legroom. There is no floor storage for this seat during take-off or landing. 13 F None No Power Seat 13 F is an Economy Class Exit Row seat with extra legroom. There is no floor storage for this seat during take-off or landing. 30 A None No Power Seat 30 A is an Economy Class seat in the last row of the plane with limited recline and no window. The close proximity to the lavatories may be bothersome. 30 B None No Power Seat 30 B is an Economy Class seat in the last row of the plane with limited recline. The close proximity to the lavatories may be bothersome. 30 C None No Power Seat 30 C is an Economy Class seat in the last row of the plane with limited recline. The close proximity to the lavatories may be bothersome. 30 D None No Power Seat 30 D is an Economy Class seat in the last row of the plane with limited recline. The close proximity to the lavatories may be bothersome. 30 E None No Power Seat 30 E is an Economy Class seat in the last row of the plane with limited recline. The close proximity to the lavatories may be bothersome. 30 F None No Power Seat 30 F is an Economy Class seat in the last row of the plane with limited recline and no window. The close proximity to the lavatories may be bothersome. This A320 has 180 seats in a one-class configuration. It is used on short-haul domestic and international flights. 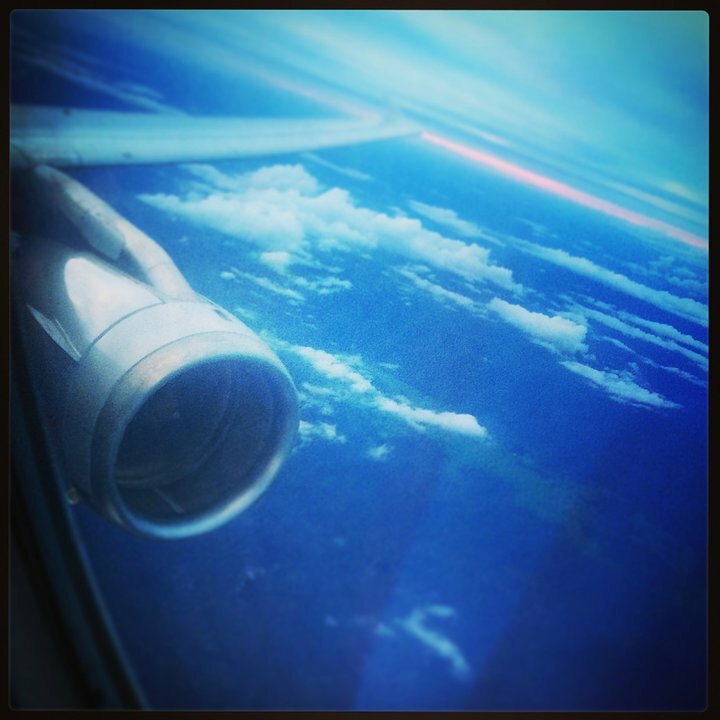 Traveled on JQ406 Stdne to Gold Coast. Seat 1A had plenty of legroom and service was very good. Pre ordered a toastie and was happy with the quality. Kinda ok emergency exit seat. You cannot completely stretch your legs due to the bulkhead in front of you. But it is still more space than in normal economy. Same on 1D and 1E. 1ABC have no restrictions and more space. 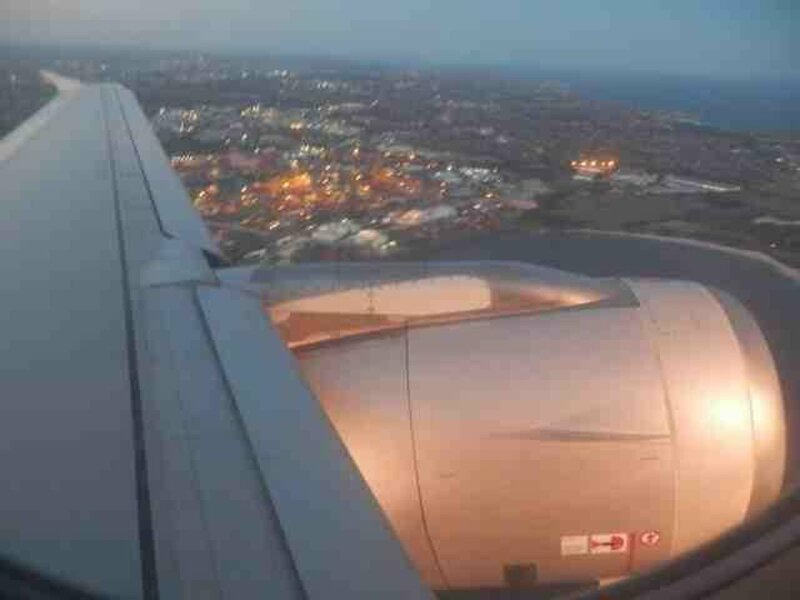 I travelled by Jetstar from MCY to ADE. I was prepared for really cramped as previously flown to MEL. However whether it was because the middle seat was vacant it didn't appear too bad and this time my knees did not touch the seat in front of me and I am only 161 cm. As others mentioned the moulded seat pockets made it difficult to store anything. So was pleasantly surprised. 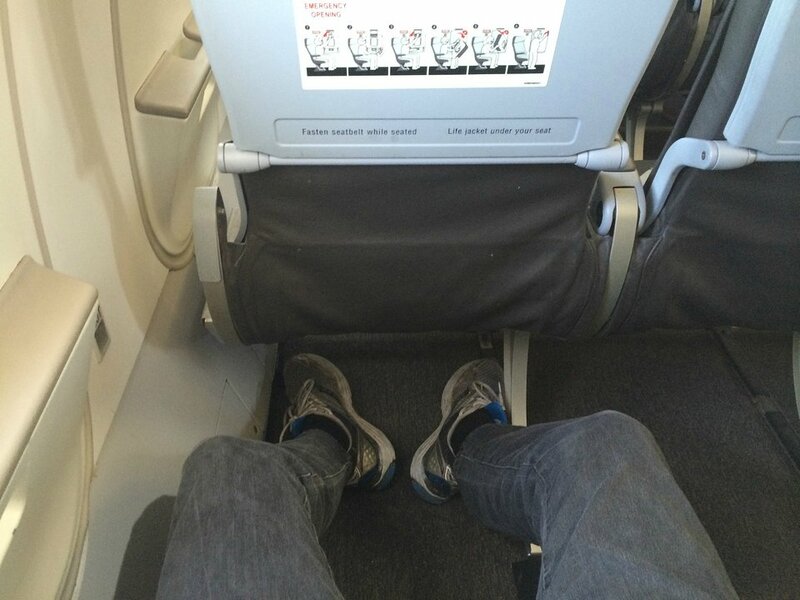 Extra legroom as Jetstar website stated. No extra cost though. Good seat for kids, slept easily. Seat did in fact have extra legroom as website stated. No seat pocket is annoying for not being able to slip a water bottle in...phone slipped down inside moulded pocket and could not use fingers to retrieve as pocket is too narrow to fit hand inside. Just fine for a 90 minute hop between Auckland and Dunedin, but any longer would have felt cramped. I was expecting everything to be bad for Jetstar but honestly it was fine, actually a better experience than a Qantas domestic flight I took. Too small, too tight, no recline, could not do it to the person behind me.I saw a story on TV in relation to "new" seating and extra passengers, did not believe it until I experienced it. No more Jetstar for me. Virgin here I come. Terrible. Much rather have to pay extra to fly Qantas or Virgin. So cramped. The seat was so narrow. Will be looking for another airline. Worst experience.so cramped,hot,couldnt recline (couldnt do it to the poor person behind me) longest uncomfortable flight from nz. Plane also super noisy,not right we decided.landed exhausted on late flight. I am 178cm tall (5'10" in old money) and my knees were hard up against the back of the seat in front. Luckily only a one houe flight but appallingly uncomfortable. The seats in this row are awful. No recline at all, and as a tall person, sitting near the window, the curve of the wall mean I was unable to lean against it comfortably and was not able to sleep at all. Luckily it was only a 3-hour flight but at 11 pm after a full day - some sleep was sorely wanted. My Wife and Daugther were sitting in 11D and 11E and they also could not get comfortable. I flew OOL-WLG and was extremely impressed with the legroom on this seat. I am 6'5" and 150 kg and had more than enough for me to stretch my legs. As you pay extra to sit in row 13 there's always a good chance no-one will want to pay for a middle seat, so that's an added bonus. This was a good aisle seat. I paid to get this seat and would do the same again. I found this seat to be comfortable and roomy. They give you a run down before take-off about how to open the emergency door and what to do. You have to agree to keep this seat. You also have to be able to use a normal seatbelt and have no mobility issues. The seat does not recline but I did not find this uncomfortable on a 5 hours flight from Nadi to Sydney. The tray table was comfortably 6 inches away from me and not right on my lap. My only complaint was the amount of uncontrolled children running wild up and down the aisle screaming. Neither parents nor staff seemed inclined to put a stop to this, even during service. I was really uncomfortable in seat 1A. The bulkhead attached to the door right in front of you means you only have half the extra leg room you have paid for. Don't even think of putting up your cramped leg on the bulkhead, every flight steward will jump on you in waspish terms, despite there being no written warning against it on the actual bulkhead. Also freezing cold air comes in under this bulkhead, so unless you like frozen toes, give this chair a miss. Oh, and if you prefer peace and quiet, forget it in row 1, everyone waiting for the toilet in front of you wants to chat and their kids jump all over your feet. I regret paying extra for this seat. Choose something in row 12 or 13 for the space without discomfort. Good leg room, but you get a stern talking to by the aircrew about what to do in an emergency. All your bags, scarves etc go in the overhead locker for take off and landing. Worth paying extra for the leg room, but my goodness the seats were very hard! Tons of legroom. If you're going to pay extra for a seat, I would definitely recommend this over the exit row seats, where the missing arm rest makes for a very uncomfortable trip. Note that for a late night flight these seats will be dramatically brighter than anywhere else in the cabin, with the galley so close. Typical budget airline seat. You get what you pay for. Great service from the friendly stew crew. Unfortunately, the rather large gentleman in 9D fully reclined his seat immediately & it stayed that way for the entire 1.45hr flight w/seat back about 10cm from my head. Refused to put it up for landing until I flagged down a stew & pointed it out. It's hard to soar with eagles when you're seated next to turkeys. Paid extra for more legroom for this and 1b but had all row. Well worth the extra. Terrible could not put tray down and felt like I was leaning over the seats in front avoid at all costs. Will not fly with this airline again yet had normal seats which were fine on the flight back to Cairns. we where put in these seats from Singapore to Perth,being a large man,I could not move I asked if I could be move over to rows 27 28 and 29 d e f that where empty,but was tol these seats where for attendants to sleep on during the flight, why can't attendants sleep on rows theirtythat have no recliners. Zero recline for the row. Extremely uncomfortable for the whole duration of the flight. Avoid at all cost. Cold air leaks under the door, chilling your feet and lower legs, especially if they're not sufficiently covered. Travel on this plane from Cairns - Sydney. I am 6'2 and 120kg and felt like I was trying to fit into a kids chair. Could not straighten my knees to stretch my legs under the front seat. My head was over the top of the headrest and could not relax during flight. I had to sit basically with my legs open and knee's to the side of my wife and aisle. Eventually a caring hostess noticed my predicament and offered me a place in Row 30 as these were unoccupied. Luckily I could stretch across the seats as the space in this row was about half the size of previous row. (last row) We flew Qantas going up to Cairns and made the fateful error of flying home on Sardine Star. 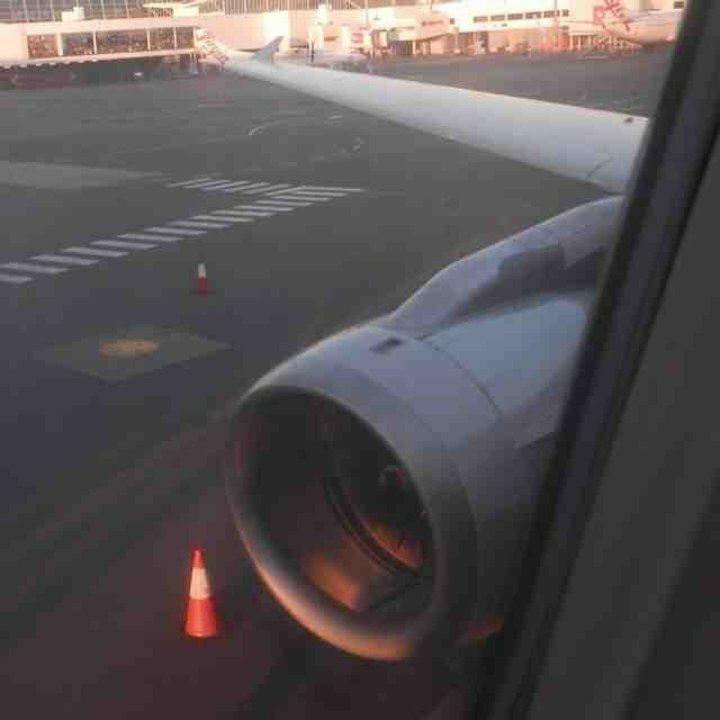 For an extra $40-$100 to fly Qantas in a normal seat configuration with leg and seat room, it is more than worth it, especially when your flight turns into 4 ½ hours due to storms preventing landing. If you are the size of a jockey than this is the airline for you. My wife went to the chiro the following day due to the flight and my children (17 & 18) made me promise not to book this airline again. It would be wiser to remove a couple of rows to cater for all sizes and have full planes, than have people packed in like sardines and not have a full compliment of passengers. I pity the poor people who have to clean these planes squeezing between rows. I can see why they don't serve food. To lower the food tray is next to impossible especially if the front passenger has their seat back. My advice, pay the extra and give this carrier a wide berth even if it's only an hour flight. God help you if you had to evacuate the plane quickly. I just don't understand the mindset of Jetstar and other budget carriers. You don;t have to provide meal service, but to remove a few rows of seats to give that extra leg room would generate favourable feedback in comfort and flight experience and would increase their bottom line with more passengers. Or, perhaps incorporate more spacious seating at an extra cost. The ability to stretch out your legs is reduced as there is a fixed bulkhead between you and the galley. Plenty of room around knees, however you cant extend your legs as far as those sitting in 1ABC. Seat 14A has a great view of the wing, which would have been great if it wasn't a night flight. I was going to purchase an entertainment system but they ran out before they even got 14 rows! I flew with Jetstar in Row 10 there is more room in a sardine can. The seat design has changed from the photos, sorry I didn't take a photo. The storage area is now at the top of the seat and a solid fixture with only room for the inflight mag and menu. Leg room is only 28" extremely cramped. Also if the person behind knees on the seat you get every move in the small of your back - very painful. The design of these seats means that back injury is high risk. Enough space for a flight from Auckland to Christchurch. Im 6`2 and had ample room, not tight what so ever. The seat was quite good for someone like myself who enjoys being near the engines because I love the sound of the V2500s. If I could have picked another seat I would have chosen the window seat in row 7 or 6. I have enjoyed a more comfortable ride on suburban buses! I am average height and weight but found the back of the seat in front of me was way too close. I had difficulty even holding my book at a good angle for reading and I am very thankful that the person seated in front of me did not recline their seat. The leg room was totally inadequate. It is not really acceptable to use such a tiny aircraft on a 3.5 hour flight. I am a rather stout chap so I always do online check-in and try the Row 13 or Row 1 seats first. Failing that an aisle seat so I can get at least one leg out every now and then .This is an appaling layout for an $800 return fare Melbourne to Cairns,. 17 inch width and 29 inch pitch this is the tightest seats I have ever had the misfortune of experiencing. Exit rows are great if you need extra legroom, however the seat squab is shorter than normal, giving no support under your thighs. Very tiring if you have long legs (which is probably why you paid extra for an exit row in the first place). AKL to Wellington - Worst flight ever like being squashed into a tiny coffin, i was almost hysterical with claustrophobia by the time we landed. 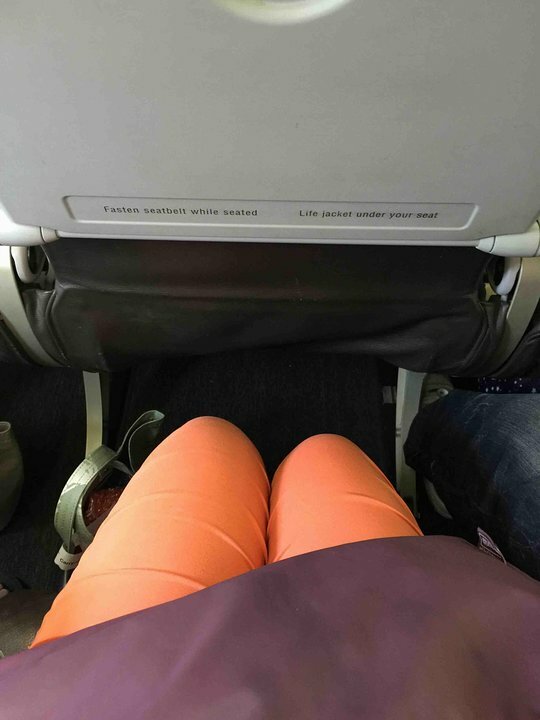 I am only 5 foot 3 and my knees were jammed gainst the seat in front, with the back of it almost in my face, could not put my tray down at all. Had to sit sideways and stare out the window with loud music on headphones to try and keep calm. Total nightmare, go with Air NZ instead as their A320 planes have a pitch of 30-33 as opposed to the pathetic 29 on this awful plane. 2nd worst flight I have experienced. I video the flight and I still didn't get welcome or have an upgrade. The airline can't even cater proper food. And their is no entertainment. Even worse my seat was dirty. Do not select row 11 if you are paying for your seat..... it should be a freebie!!! It is ok if travelling short distance and if passengers in row 10 don't recline but terrible if you have a neck or back problem and have a flight longer than an hour. I find the seats on this plane terrible, even for a slim person like myself. The width is not too bad but there is no space in front and totally claustrophobic if the person in front tries to recline. Even the flight attendants barely fit in the aisle. For me, this is the worst example of squeezing the maximum of people in the minimum of space. If you want a tiny bit of comfort on uour flights look elsewhere! I would say this is the worst seat on any plane I have flown in. There is no recline, but the seat in front can recline. Avoid this seat. Jetstar flies 1 versions of Airbus A320.